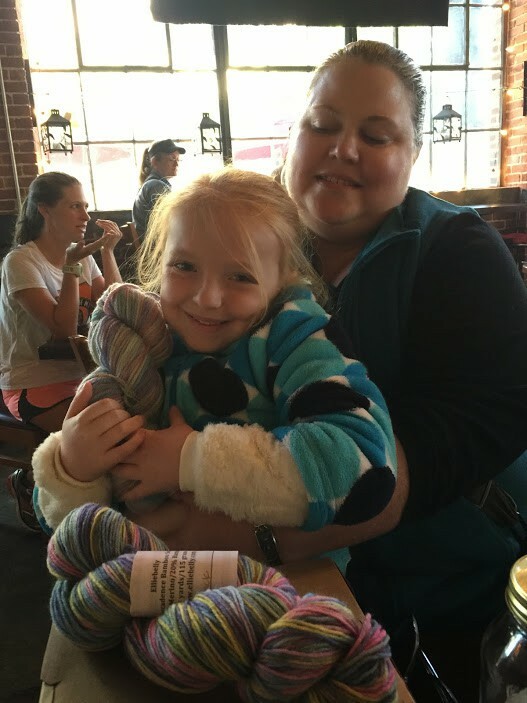 The world would be a much happier place if everyone loved yarn as much as Miss Betsy, who seemed to think that the yarn I brought to the Farmer's Market for her Mama this weekend was better than a baby doll and worth hugging and squealing about while we sat and visited. She had so much joy on her face the entire time – truly, I can't remember ever seeing someone express more delight over a simple item. If the whole world was like Betsy, knitters would rule and everything would be done far more efficiently and beautifully! Betsy loves her yarn – so far she wants to play with it, and she won’t entertain any suggestions on what to do with it. Thank you!